BUY ONE GET 50% OFF 2ND. 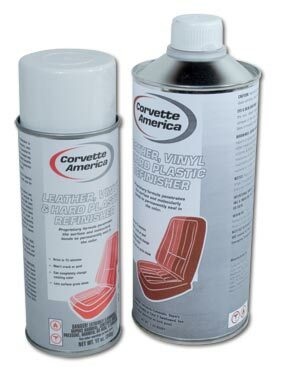 Corvette America’s Dyes & Adhesives. Formulated & mixed by us, so it’s guaranteed to be right! When you use our Interior Dye, you get accurate color & solid coverage on leather, vinyl, fiberglass, plastic & metals. SALE ENDS Friday February 8th at noon.